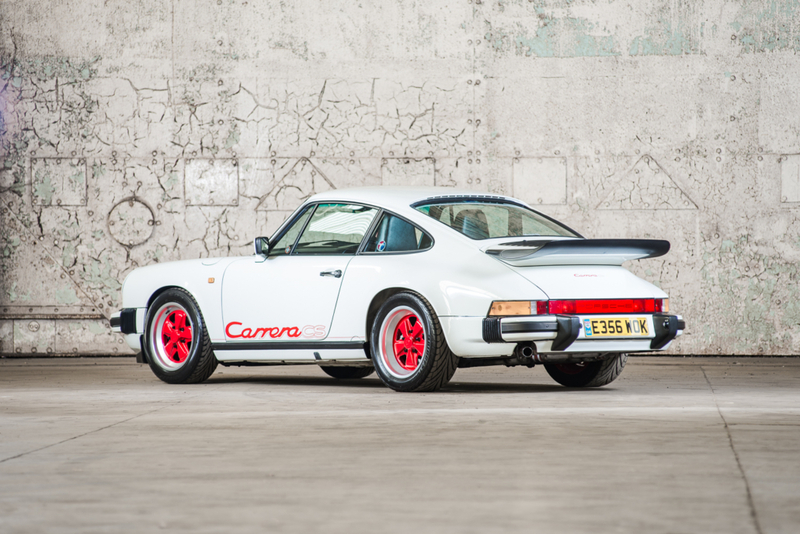 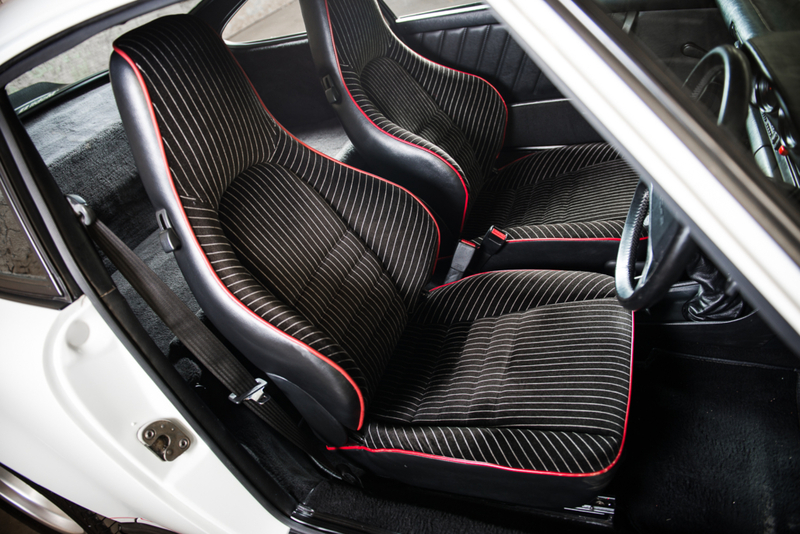 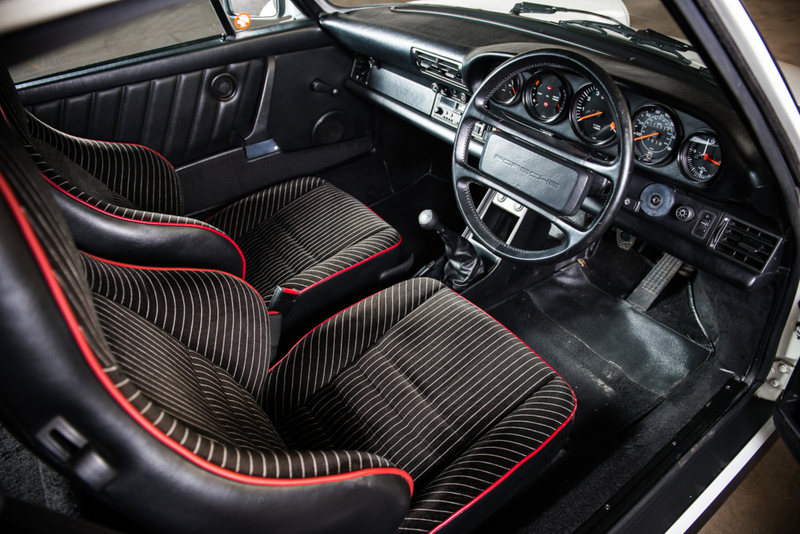 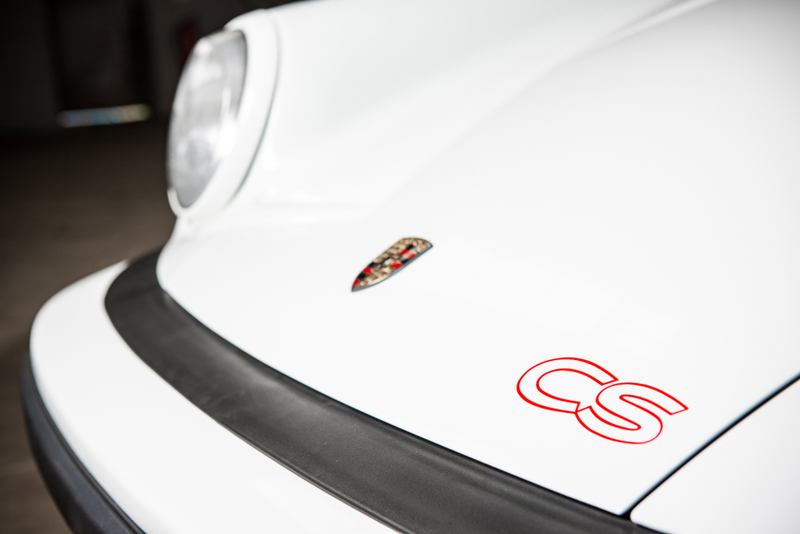 The 911 Carrera Club Sport was Porsche refocusing on what they do best – high performance, lightweight motoring. 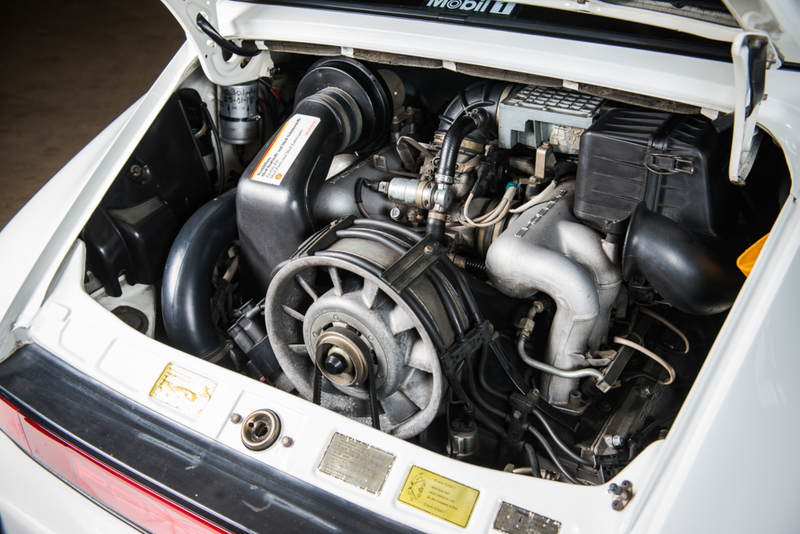 Design work had begun on the M637 model in the autumn of 1984, with the production car first shown to the public at the 1987 Frankfurt Motor Show. 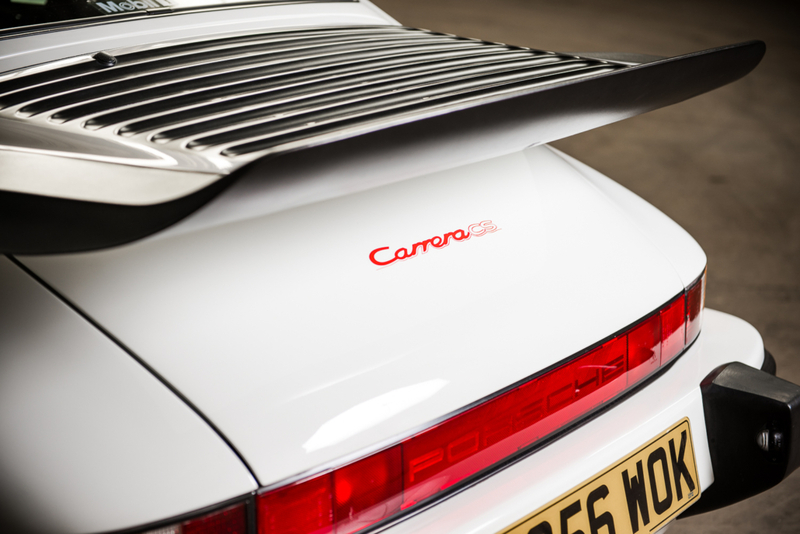 Based on the principle ‘less is more’, it was the perfect way to celebrate 25 years of the 911. 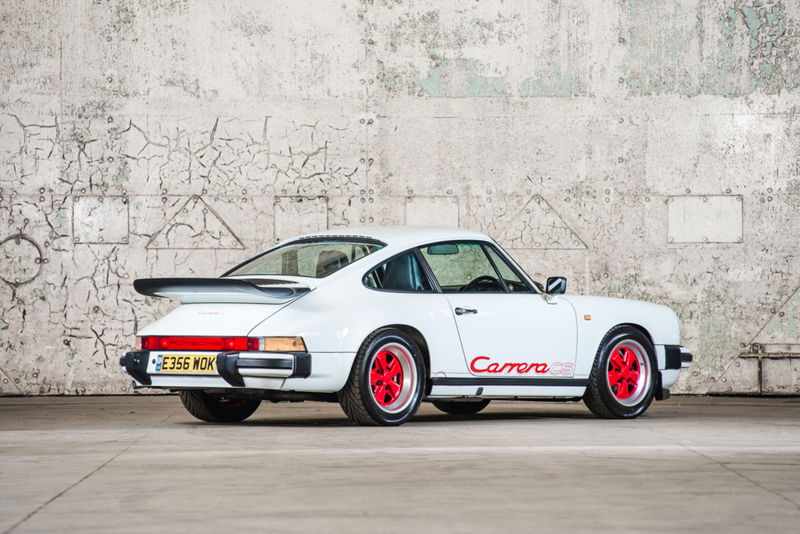 The new Club Sport had a blueprinted, high revving engine mated to a modified short-shift, close-ratio G50 gearbox. 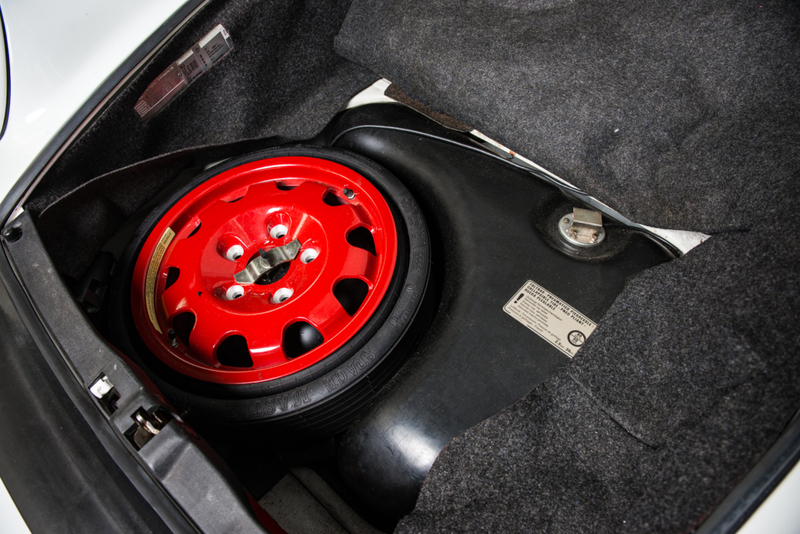 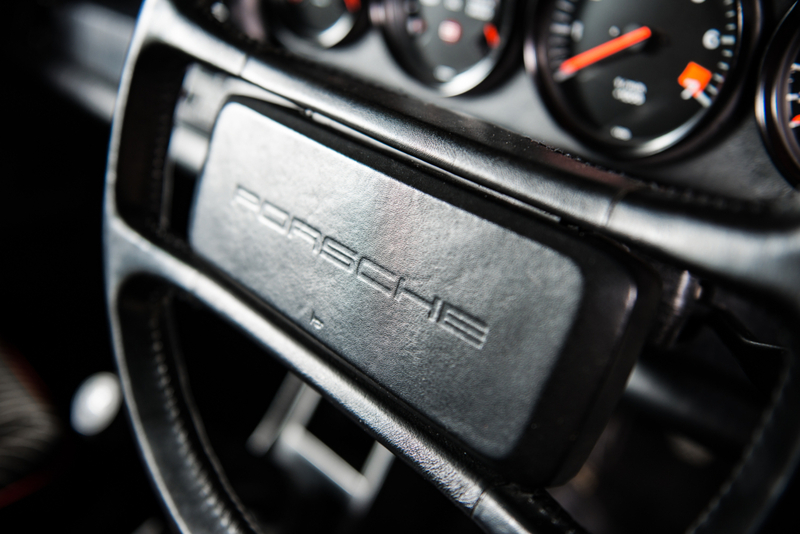 The 911 had track-bias suspension modifications, with weight saving measures that included the deletion of the sunroof, air conditioning, rear seats, undercoating, sound insulation, rear wiper, door pocket lids, fog lamps, front hood locking mechanism, engine and luggage compartment lights, lockable wheel nuts and rear lid logo. 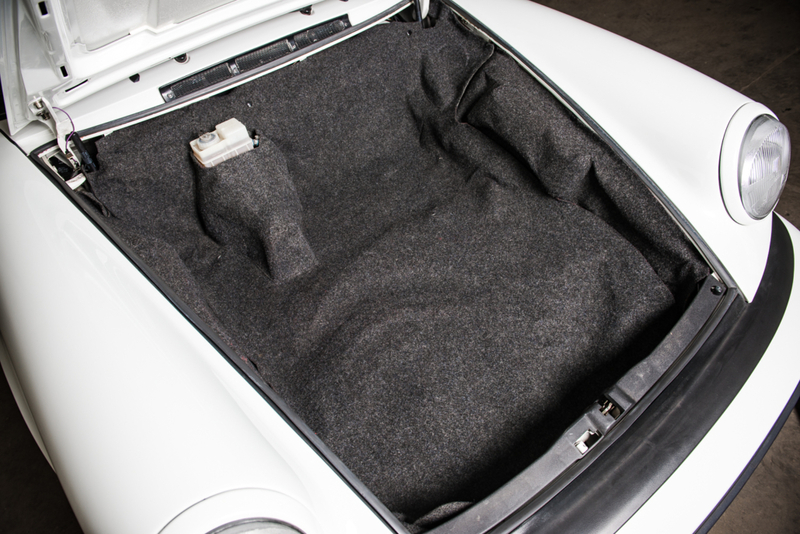 Even the passenger sun visor was removed! 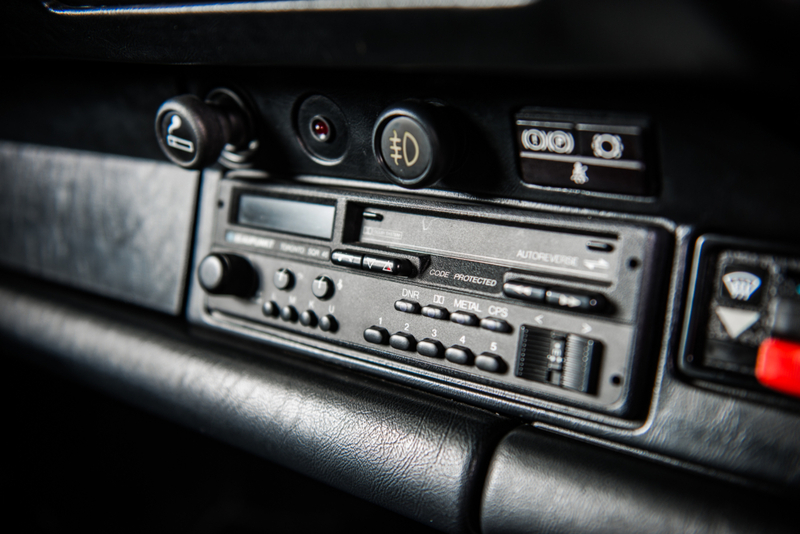 Manufactured between August 1987 and September 1989 only 340 cars were built of which just 53 cars were official C16 UK examples. 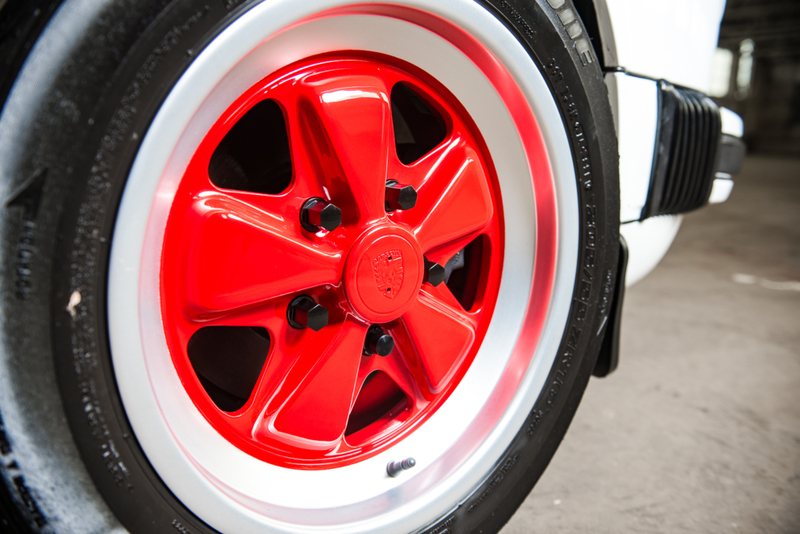 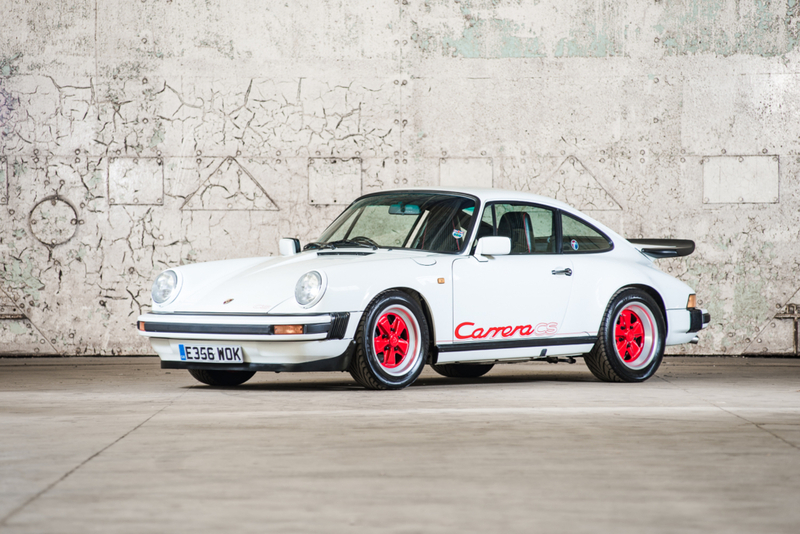 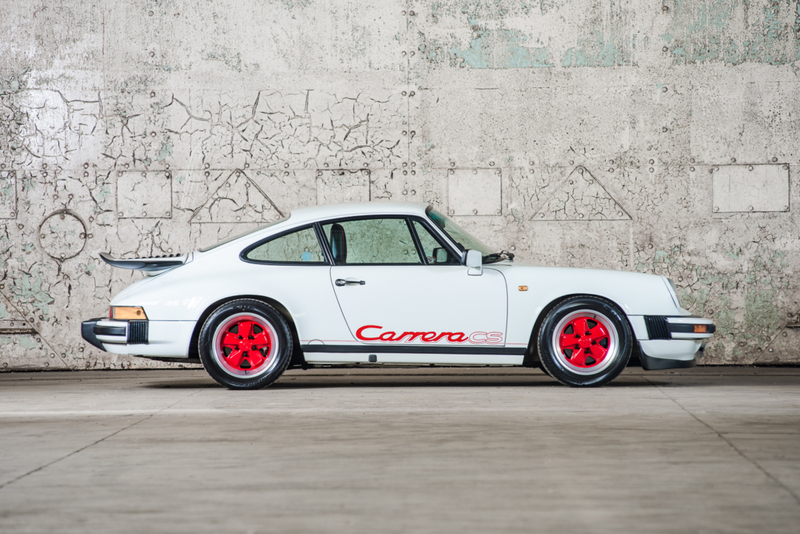 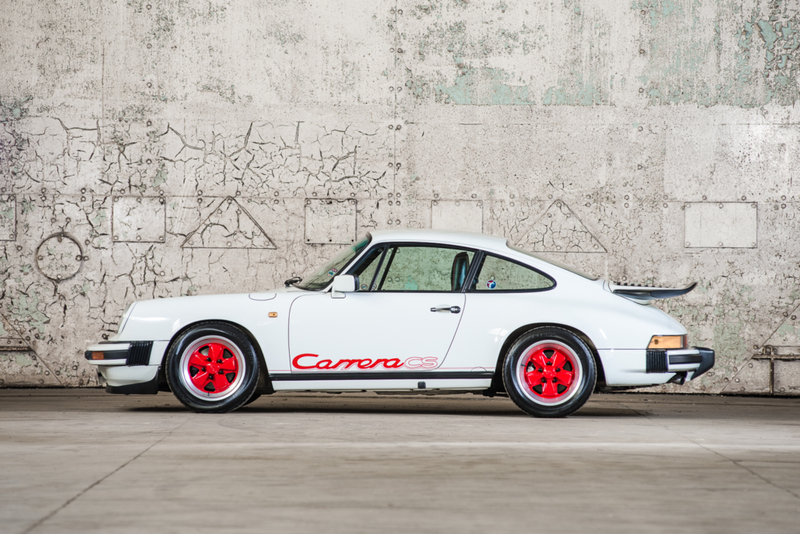 All but one of these 53 were finished in Grand Prix White with a red ‘Carrera CS’ decal on each side of the car, along with the synonymous red Fuchs wheels. 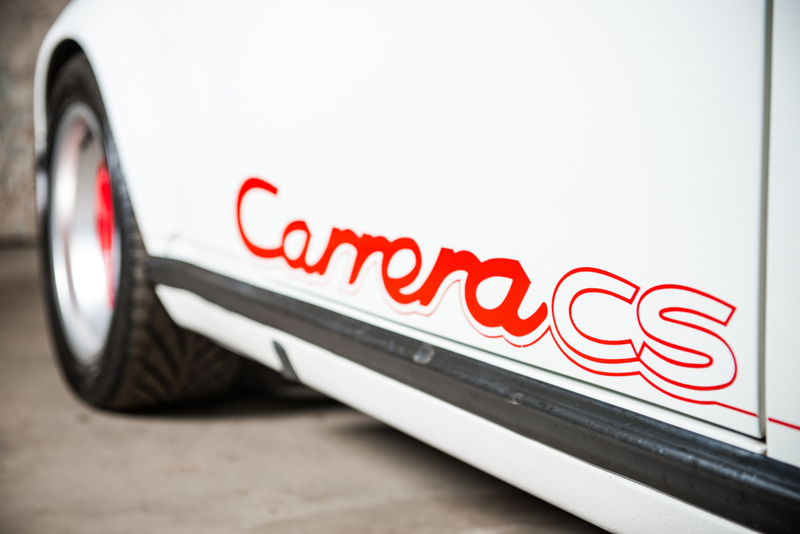 Our UK C16 Club Sport was delivered in June 1988 and has enjoyed a cosseted life. 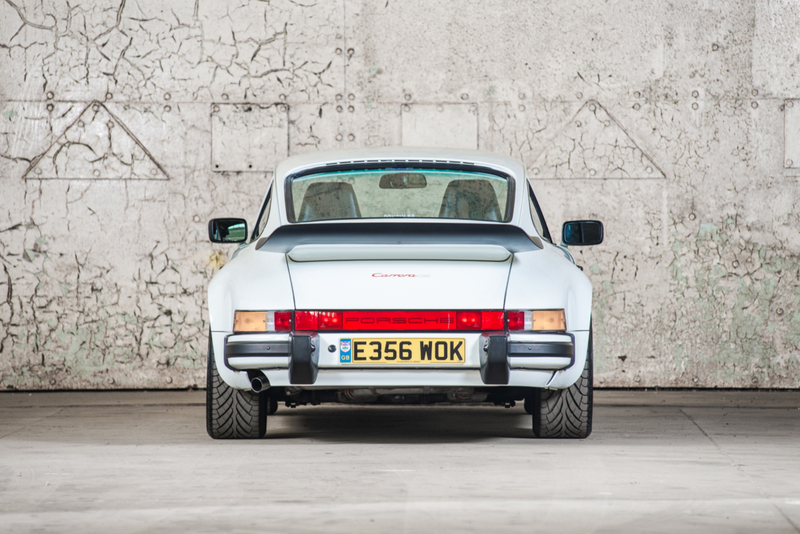 Showing 70,500 miles, it has comprehensive service history from new, starting from the original paperwork and owners book pack. 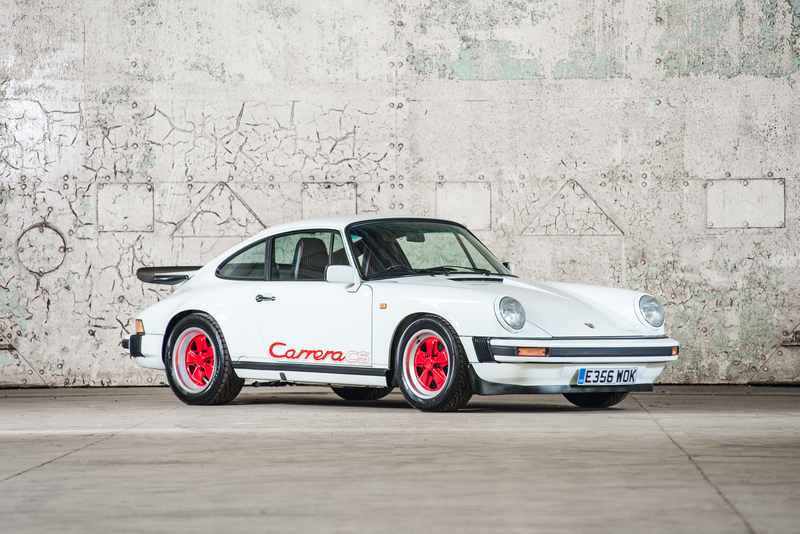 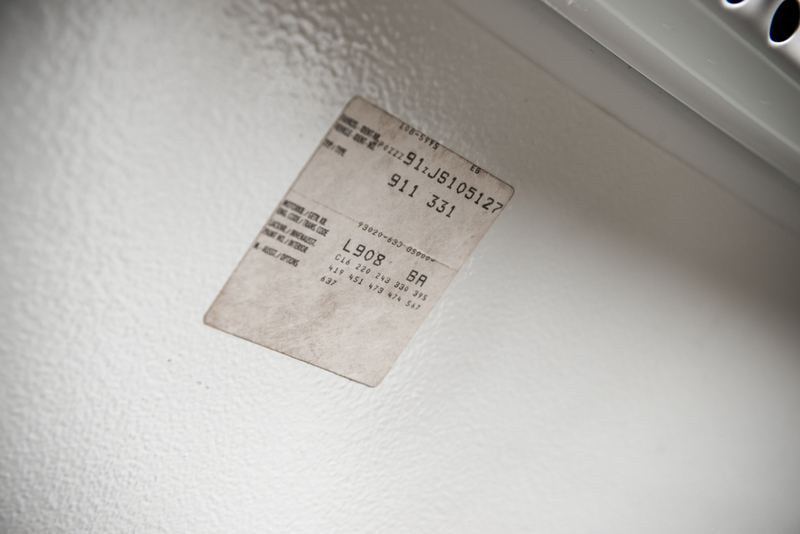 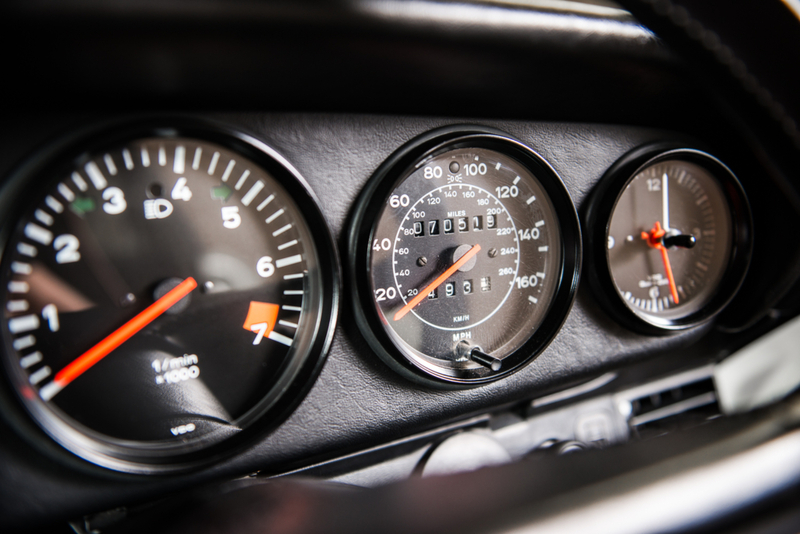 When purchased by the current owner, a detailed, 13 page inspection report was supplied by Peter Morgan of Porsche Inspections who remarked that the car was “in First Class condition”. 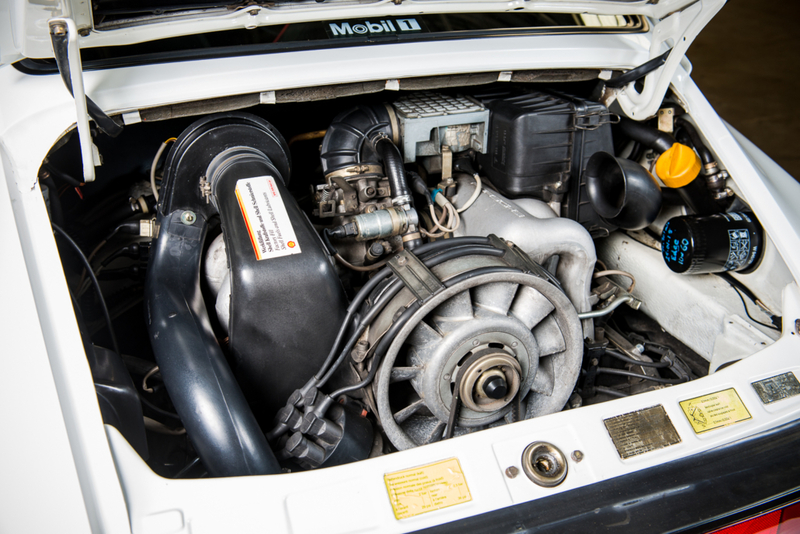 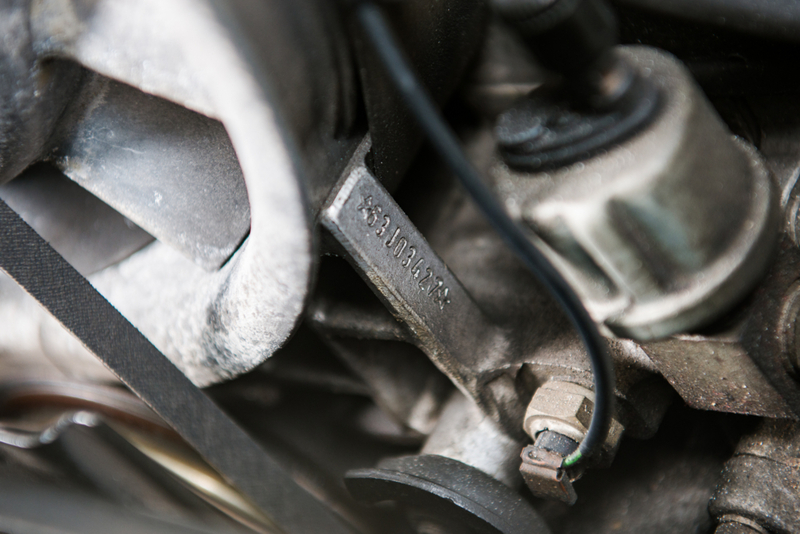 The extensive care shown early in its life has continued through to the fastidious current owner, who has had marque experts Autofarm maintain it regardless of cost since his purchase in 2011. 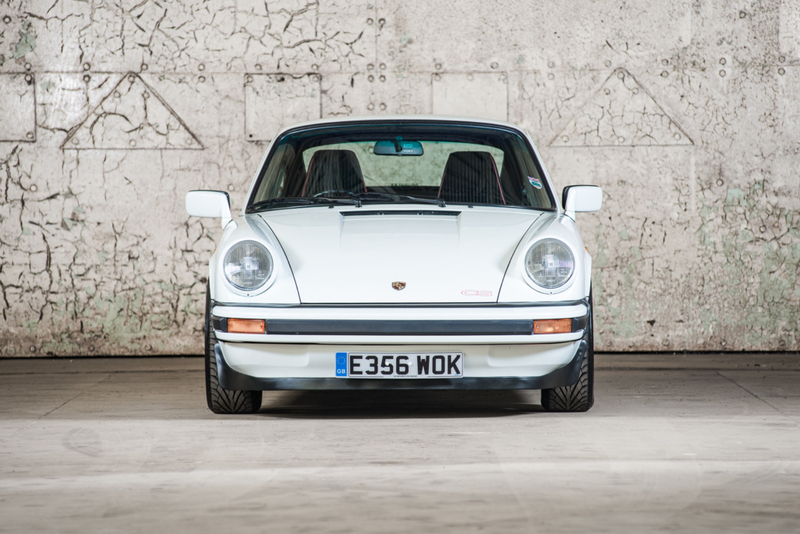 With a wealth of invoices on file and over £8,000 of expenditure in 2018 alone, this 911 is in excellent condition. 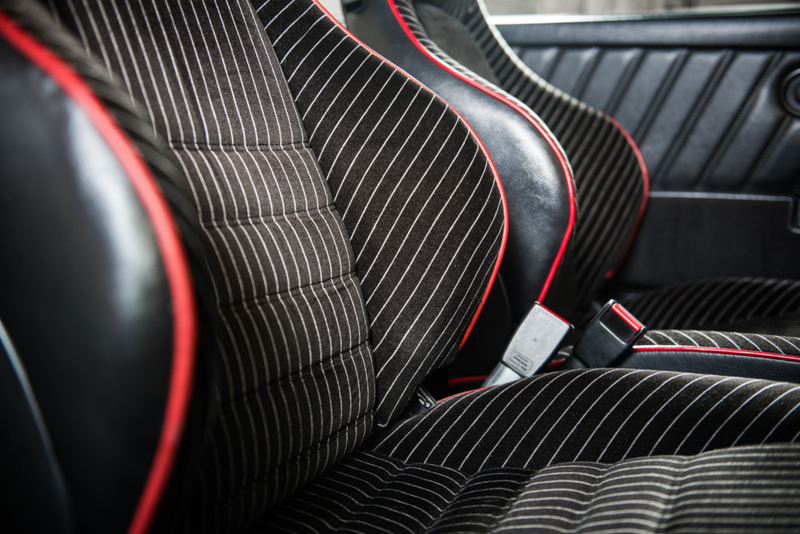 2018 © Pendine Historic Cars Limited.